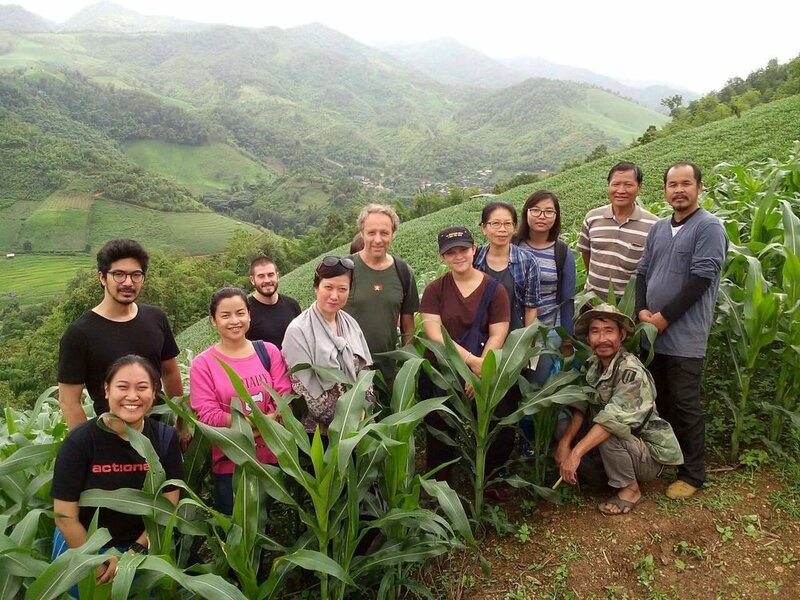 BLOG: "KNOTS Summer School: Mae Chaem/ Baan Mae Sa"
Five students, three professors, two interpreters and one field trip leader went to Mae Chaem/ Ban Mae Sa as field trip for trans-disciplinary research under KNOTS project from 22 – 26 July 2018. This paper is a detailed report of the field trip and experiences gained. Mae Chaem district is about 115 kilometers west of Chiang Mai City. Its elevation ranges from 400 to 2,565 meters above the mean sea level. Over 70 percent of the district area is mountainous with relatively small arable land. There are five major ethnic groups living in this area: Lua, Karen, Hmong, Lisu, Northern Thai. The main field trip area, Mae Chaem village, has a population of around 850 persons in 214 households. Among the 850 persons, 400 are women. The majority of people are Karen Christians. Their main sources of income are corn plantation, weaving, planting passion fruit and beans, and raising livestock. Actually, the main income for Mae Chaem/ Ban Mae Sa is planting corn but has caused a severe amount of forest degradation. Soil is damaged further due to the heavy use of fertilizer, pesticides, and herbicides. So the villagers want to change livelihood of corn plantation to other alternative livelihoods. Additionally, villagers have attempted to emphasize weaving, but there is no market for the product. Therefore villagers continue to plant corn even though they are aware of the environmental impact, particularly the haze issue when the cornfields are burned after cultivation. CP Company purchases corn from the village, creating a demand but making it difficult for the village to transition to any other alternative livelihood. Our research team was accommodated in two guesthouses close to each other. The location allowed for a very relaxed atmosphere, which was very useful for the first day in order to exchange information, get to know each other, and informally discuss what will be expected of us. In the village the roads are not good due to the mountainous terrain and there is no electricity. Moreover, although there are many cell service providers in Thailand, in this village, only True Mobile service is available. Thus, it is observed that villagers in mountainous areas do not have choices like people in the urban areas. Our research team did not have much time to learn about all of the issues in the field trip area, so we had just one research question: What are the main challenges in Mae Chaem/ Ban Mae Sa? 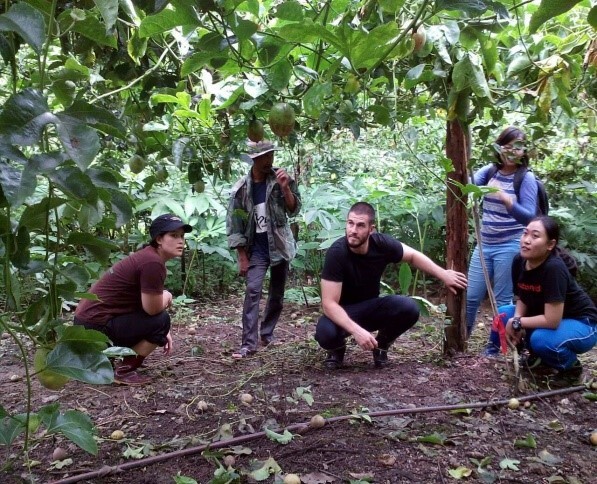 Our research team applied various kinds of research methodology with current and former village heads, leaders of women’s groups, leaders of the youth group, representatives for social enterprises, and representatives from the Forest Conservation Community. Our research team applied observation methodology in weaving and wood walking along the village. The research team found out by using the observation method that researchers can learn sensitive information simply by observing it themselves. On the other hand, information gathered by observation can be weak and misleading. 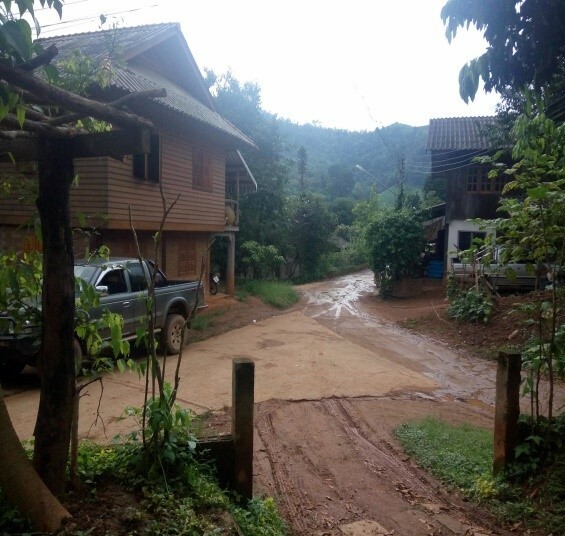 For example, one of the members of our research team observed by herself in her homestay family that her homestay father and mother do not speak Karen Language, thus, she observes villagers do not maintain their culture. In reality, the homestay father is not Karen, thus, they cannot communicate with each other with Karen language. Therefore, the research team found out that when researchers use observation method, they need to double check the information they gain from observation by comparing with other research methodologies, for example in-depth interviews. 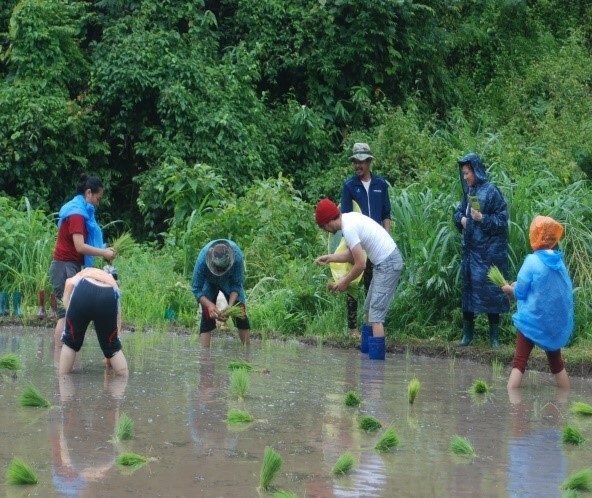 The research team applied participatory observation in rice farming and discovered that through this method, researchers can get truth from villagers as they are more likely to speak openly about their situations and problems. However, the research team faced some difficulty when trying to take notes and photos. 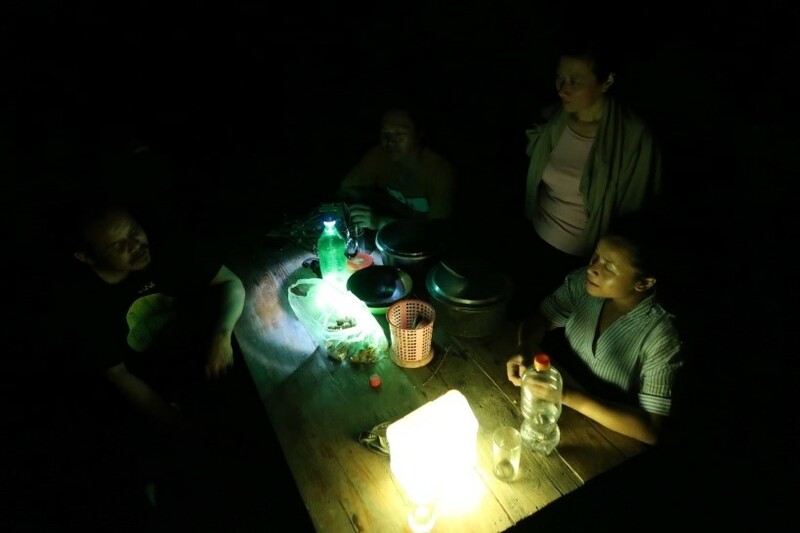 The research team utilized in-depth interviews with current and former village heads, leaders of women’s groups, leaders of the youth group, representatives for social enterprises, and representatives from the Forest Conservation Community. In-depth interviews allowed the researchers to get specific information and facilitated the double-checking of information gathered during observation. The research team also applied focus group discussion with the village head, leaders of women’s groups and leaders of the youth group. The topic for the focus group discussion was livelihood security in Mae Chaem / Ban Mae Sa. By doing focus group discussion, the researchers can get various perspectives on one issue. On the other hand the discussion can be hard to control, therefore the research team decided that a facilitator is necessary for such method. Through utilization of social mapping methodology, the research team received logical information and history of the village in detail. On the other hand, when researchers use social mapping it is important to note that often villagers cannot recall all memories and history. The research found out the main challenges for Mae Chaem / Ban Mae Sa are ecological challenges, social/cultural changes, and economic challenges. These three issues are related with each other as villagers are trying to change their livelihoods from crop planting to other alternative livelihoods for their income, namely weaving, coffee plantation, family rice and livestock. But, at present, there is no market for weaving, thus, villagers use online marketing, a kind of modernization, to sell their weaving products and when visitors come to village, weaving products are sold. By using the internet, the villagers learned about modern clothes and they began to understand that young people do not really want to wear Karen traditional clothes even though their products are traditional. Moreover, the newer generations cannot speak Karen language very well. These are social/cultural challenge for villagers in Mae Chaem/ Ban Mae Sa village due to modernization. Because of crop plantation, deforestation is increasing which further catalyzes ecological change. Therefore, villagers want to maintain their ecological system, but they do not know how. Thus, many outside groups, namely government, banks and NGOs, come to the village. For government, staff from government comes to village to solve ecological problems they are not really effective. For bank, banks know CP Company comes to the village to buy corn, so, banks give loan for villagers to buy car and other facilities, and to build houses. When they receive money from corn plantation, they give back to bank to pay off the loan. 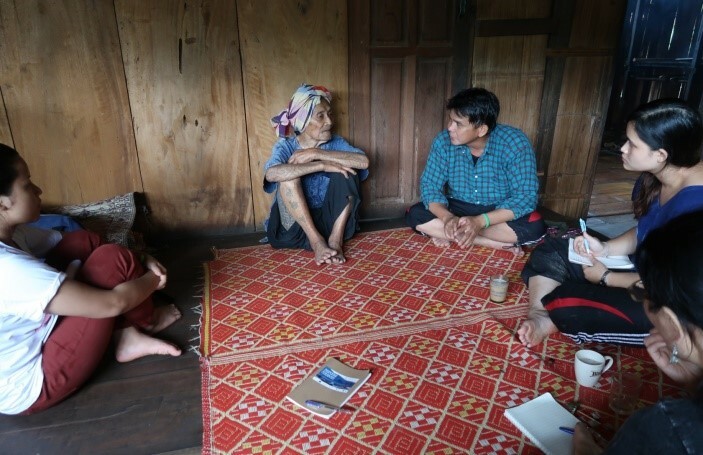 Therefore, when the research team arrived in Mae Chaem/ Ban Mae Sa village, one main problem is the cycle of loans & repayment. We found out that almost every household has loans. Since all villagers know that planting corn has a negative impact on the environment, they are trying to plant more coffee and bamboo, but not only is there not a market for them like there is for corn, but also the soil is not good for planting coffee and bamboo. Therefore, the research team found this to be an economic challenge for the villagers. Finally, the research team surprisingly found out that villagers do not have a sense of inequality because when we asked who is the richest and poorest in this village, they do not know the meaning of “rich and poor”, they replied all people are the same. All villagers requested the research team to spread awareness about their lifestyle, livelihoods, their challenges and difficulties. They mentioned there are many CSOs and researchers that come to village to observe, but then just disappear. So the villagers told the research team that they need support from various sectors who can send people to live in the village for a longer term and observe their situations. At present though, there are many outsiders that come to the village and observe but they do not help the village with anything. Therefore, the villagers want to meet with outsiders who can stay in the village for long time and provide support for them.